It’s the most wonderful time of the year! 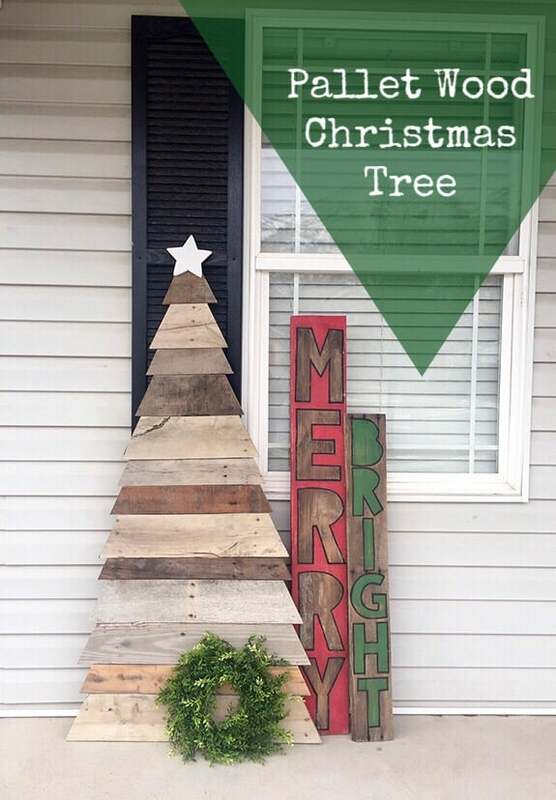 What better way to get your house looking festive than with this big pallet wood Christmas tree! 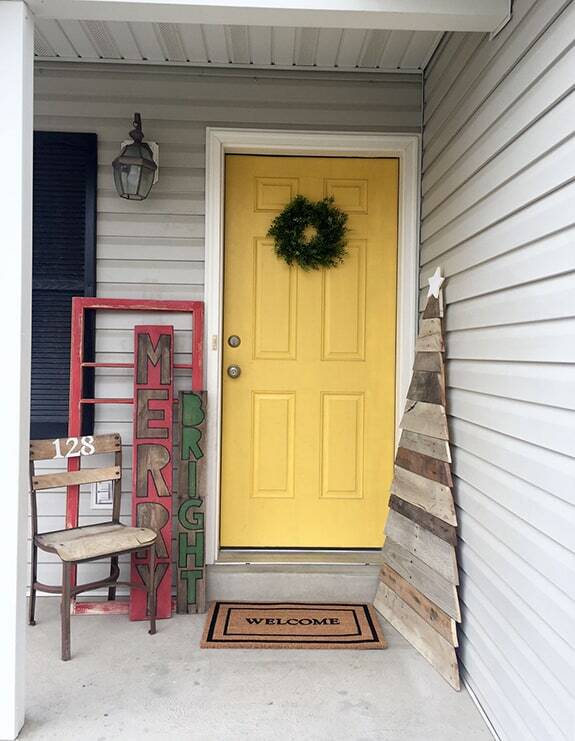 It’s perfect for your porch! 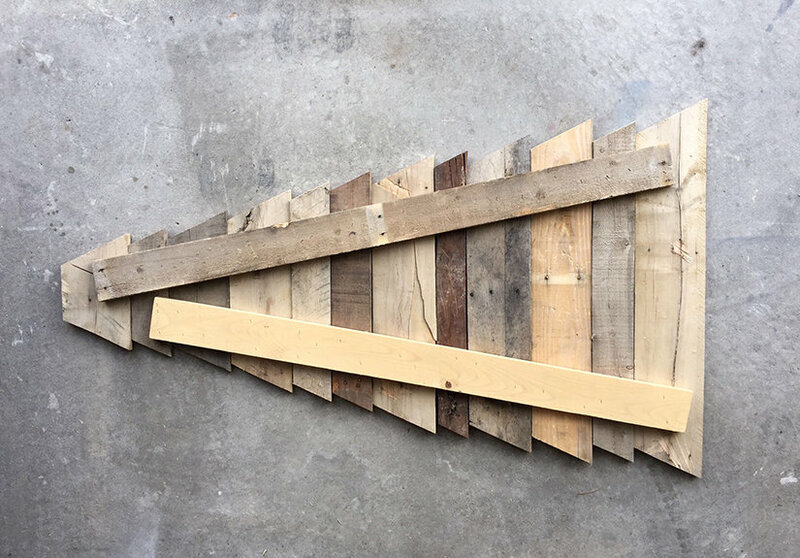 I used pallet wood because I already had some laying around just waiting for the perfect project. 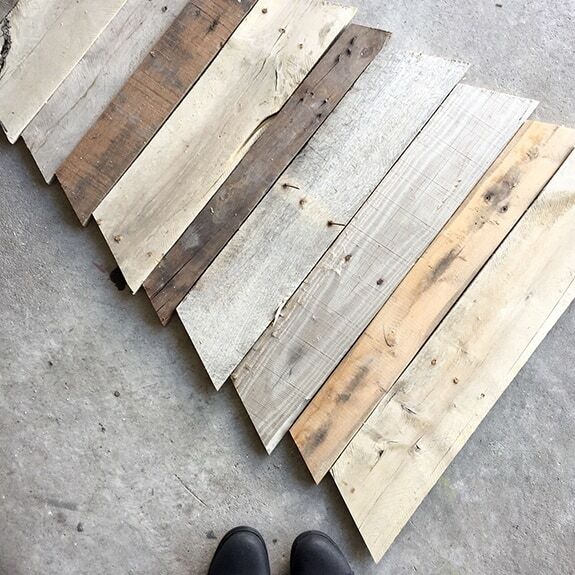 If you don’t have any pallets laying around, you could grab a few 1’x4’s from the hardware store. First, cut your wood. I set my miter saw at a 25 degree angle and cut my fist board 7″ (measuring on the long side of the board). Then I cut each board 2″ bigger than the one before it, so 7″, 9″, 11″, and so on. 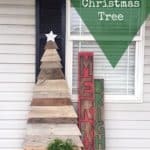 I used 13 boards for my tree, but you could use as many as you’d like to get the desired height. My boards vary in width as well, but I really like the randomness of it and the different finishes of each board. Once all your boards are cut, assemble them face down on the ground. Next, take another board and lay it across the back of your already cut boards. Using a nail cut, nail the long board to each individual board. I used several nails to make sure it is secure. As you can see below, I used two boards for mine. Two boards isn’t necessary, but I didn’t have one long enough to fit my whole tree. Finally, you’ll add your star. I found mine at Joann’s, spray painted it white and distressed the edges with sand paper. I used wood glue to attach the star. I didn’t want to risk the pressure of the nail gun splitting the wood star since it’s so small. To finish it off, lightly sand both sides of the entire tree. You could always paint or stain your tree, too! Or glitter – glitter is ALWAYS an option! The whole project only took me about an hour to finish and I love it! Head over to Life PreKARIous to see my other favorite Christmas Tree!